If you are going to buy one of Apple’s new iPhones then you should absolutely factor in the cost of AppleCare – because if you break these things then repair is going to be super-expensive. Apple took a moment after its iPhone 2018 keynote to update its iPhone service pricing page, adding the cost of repair for iPhone Xs Max and iPhone Xs to the mix. iPhone XR repair costs have not been added just yet. If you break the screen on your Max you’ll be looking at a $329 bill. And if you do some other kind of damage to the device, you’ll be parting with the price of an old car — $599. Don’t start laughing if you want to use an iPhone Xs, as pricing is only $50 cheaper (same as iPhone X). These costs are also subject to tax. And Apple will charge you $6.95 to ship your device back to you. 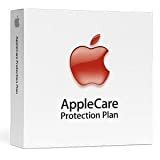 You’re going to really want to spend an additional $199 (AppleCare+) or $299 (AppleCare+ with Theft and Loss) to protect your $1,000+ new smartphone. I’d say that at these prices that’s kind of mandatory – thought it will still cost you $269 to get your device replaced if it is lost, stolen or damaged beyond repair. I can’t help but think that the other approach is to buy a $399 Apple Watch and never take your iPhone out of its pocket, or a $499 model and never take the iPhone out at all — the camera you don’t have with you is less likely to get smashed, I guess. (If you think these seem steep then take a look at the super-expensive UK prices below.